It doesn’t matter what you are using your shipping container for, adding shipping container shelves can transform your space. A hanging bracket shelving system is a simple and easy install, and can provide you with the benefits below, and many more! 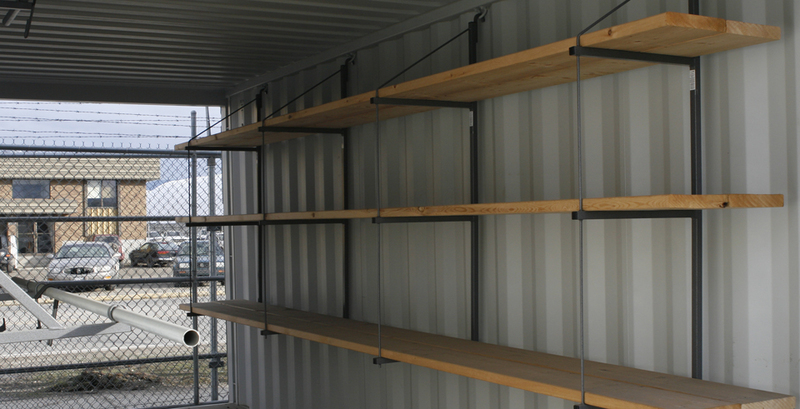 Choose from either a standard vertical or angled shipping container shelves that help you to store and organize your storage and supplies. This enables you to stack 2x4s, PVC, pipes, sporting equipment, and more. Once installed, customize shelving to meet a variety of needs. If you are utilizing your container as a more traditional home or office use an adjustable shelving system and stack or store items as you wish. This includes stacking boxes, plastic containers, seasonal decorations, inventory, tools, garden supplies, manuals, and more. Head to the home organization section of your favorite store to find the space saving and organizational solutions you require. You can even add pegboard between your shelving. 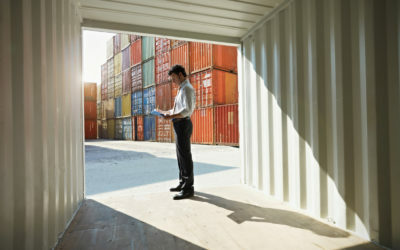 If your container filled up faster than you had planned or is starting to feel cramped, shelving can provide you with a fast and easy fix. Yes, you can add furniture, but shelving takes up far less room. Once installed you are sure to find a variety of ways to optimize your space, moving things currently on your desk or on the floor—to your shelves. Add on one, or on all three walls. We also have a retractable drafting table that can be used for drafting, or as a computer desk. It includes a mini top shelf to store essentials. It’s the perfect standing desk or table, or get a stool or height adjustable chair.